Showcase your products with eye-catching ads and optimize your campaigns. Use these recommended Bing Ads features to help you deliver greater results. Showcase your products to help increase online sales. Understand what your customers are looking for. Optimize your budget for high-performing campaigns. Re-engage high-value users who visited your website. Distinguish yourself as a high-quality advertiser with the Elite Merchant Badge. Find out how iCrossing saw a 29% increase in ROI with Bing Shopping Campaigns. 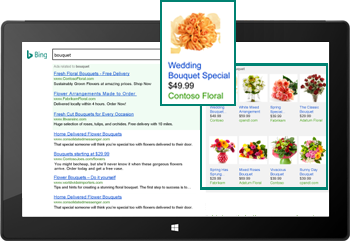 Make your retail ads pop with visual ads designed to draw consumers’ attention, and easily manage your Product Ads with Bing Shopping Campaigns. 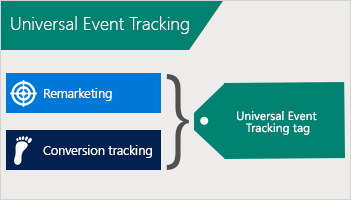 Use a single tag to retarget your search audience and track conversions. Set one daily budget that can apply to all your campaigns, allowing you to distribute unused budget to campaigns that are performing well.